Welcome to Theme Day Thursday! This month is all about those birthday cards. 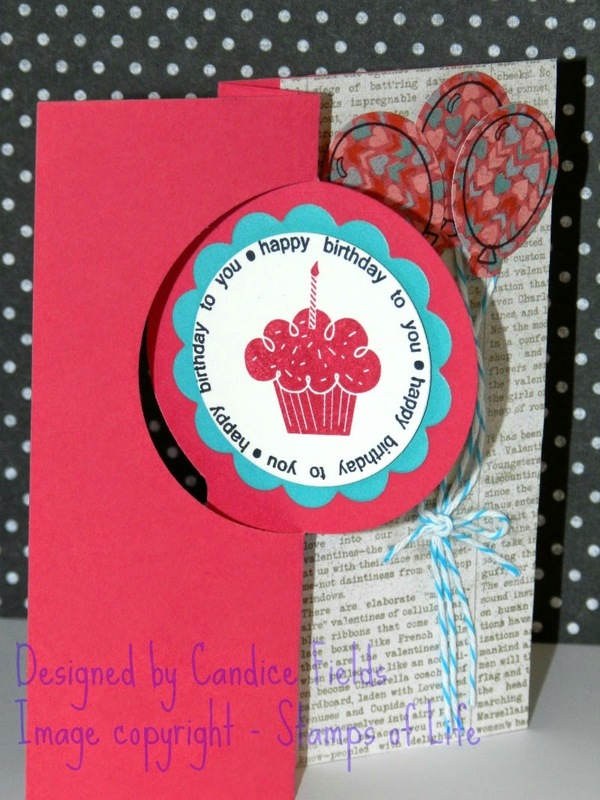 I am kicking off my birthday month with a couple cards I created using the happyBday2you set from The Stamps of Life. 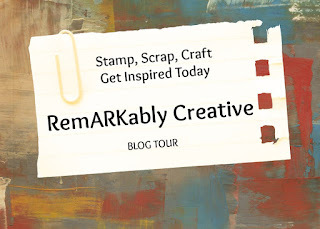 I used the Circle Card Thinlit Die from Stampin Up or the card base. I added some pattern paper to one side of the card base. 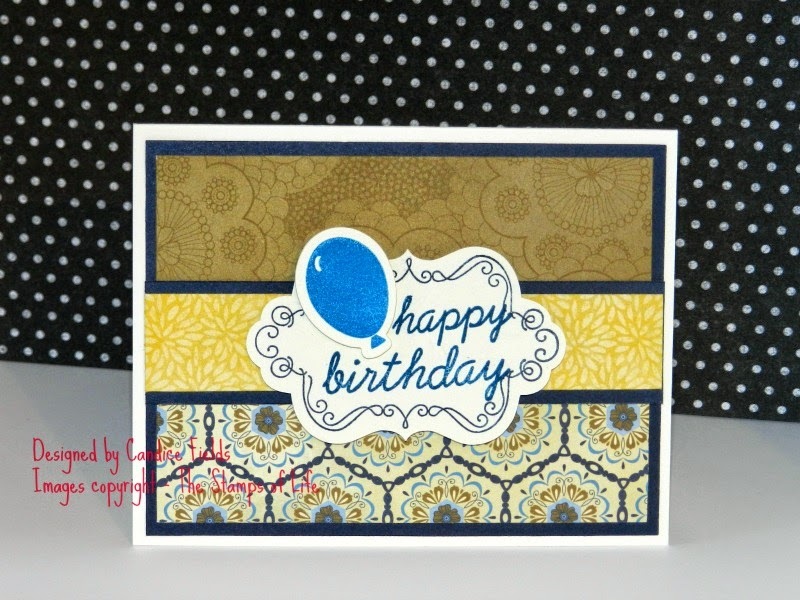 I matched up the circle die with the circle sentiment from the happyBday2you stamp set. 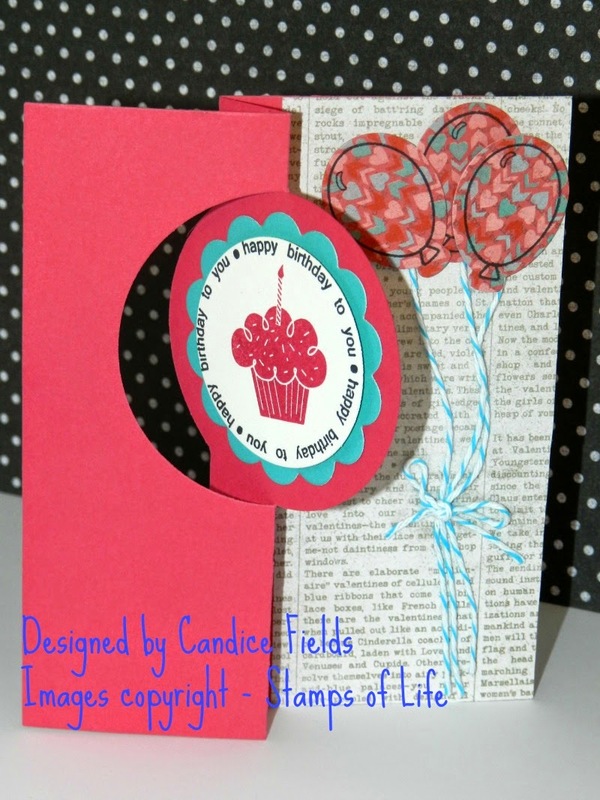 I thought it would be fun to add some balloons which were cut using the balloons2cut stamp and die set. For my last card, I decided to bring out my Artfully Sent Cricut Cartridge for the label frame and used the coordinating stamp set. 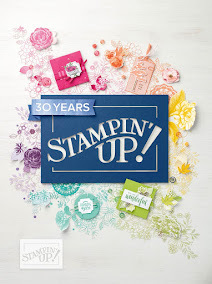 I stamped happy birthday and the balloon from the featured stamp set. I hope you got some ideas for creating those birthday cards! Thanks for stopping by!